It's like breathing in sulphur!... 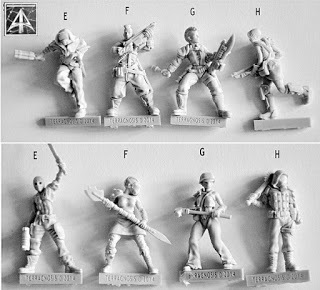 Ok, so I wouldn't really recommend trying to breathe in these new miniatures from Alternative Armies. I doubt that'd be good for your respiratory tract. However, you can use them to expand your Sulphur II forces. Yeah, I'd suggest you do that, instead. Feeling a little sulphurous? Excellent! 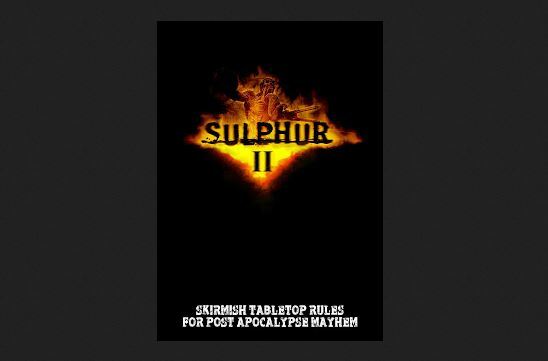 Alternative Armies has the first brand new releases, with two cracking new packs of 32mm resin infantry, for the Sulphur post apocalyptic game added to the website. Skinners and Splinters! Added to the larger and smaller vehicles, characters and the mighty mecha too. Get into this game and get the book. Good for any setting of devastation, of ruin and of radioactive survival. Superb resin miniatures. Click through for more. Thanks.